Indigenous Peoples globally continue to face dispossession of their lands and resources, discrimination, forced assimilation and other grave human rights abuses. The United Nations Declaration on the Rights of Indigenous Peoples is the most comprehensive international human rights instrument to specifically address their economic, social, cultural, political, civil, spiritual and environmental rights. In its own words, the Declaration sets out minimum standards necessary for the “dignity, survival and well-being” of Indigenous Peoples. The UN General Assembly overwhelmingly adopted the Declaration on 13 September 2007. This historic adoption followed more than 20 years of deliberation and debate in which Indigenous Peoples worked directly with states to elaborate upon and advance their human rights. The Declaration affirms the inherent or pre-existing collective human rights of Indigenous Peoples, as well as the human rights of Indigenous individuals. It provides a framework for justice and reconciliation, applying existing human rights standards to the specific historical, cultural and social circumstances of Indigenous Peoples. in Kanien’kehá:ka (Mohawk) in PDF thanks to the translation efforts of the Mohawk Language Custodians Association of Kanehsatà:ke. Pocket size copies of the UN Declaration on the Rights of Indigenous Peoples are available in both English and French. Contact us to place an order (50 cents per booklet plus shipping). Edited by Jackie Hartley, Paul Joffe & CFSC’s Jennifer Preston, Realizing the UN Declaration on the Rights of Indigenous Peoples: Triumph, Hope, and Action documents the story of the Declaration from idea to adoption by the UN. A very readable introduction to this fascinating and important topic. 46 Indigenous representatives made a 5 and a half minute video to present a short version of the Declaration. The Indigenous Bar Association of Canada produced a handbook: Understanding and Implementing the UN Declaration on the Rights of Indigenous Peoples: An Introductory Handbook. Know Your Rights! 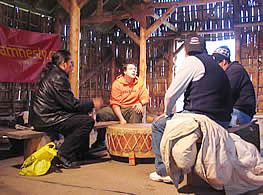 The United Nations Declaration on the Rights of Indigenous Peoples is aimed at Indigenous youth. United Nations Declaration on the Rights of Indigenous Peoples: A Manual for National Human Rights Institutions contains resources for those working toward the implementation of the Declaration at various levels. Below are a number of other resources that we hope will help you learn about the Declaration and some of the work that has been done around it in recent years by many partners (including CFSC). All of these resources are meant to inform and to engage. In particular, CFSC wishes to demonstrate that the Declaration is honoured, celebrated, and, increasingly, being implemented. 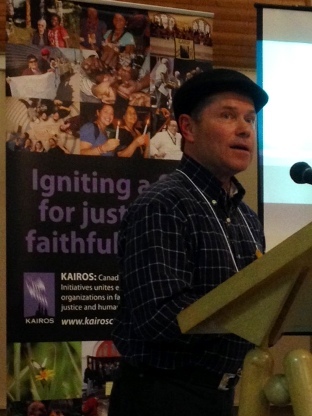 Joffe Commentary on Isaac and Hoekstra – International human rights lawyer Paul Joffe provides a critical analysis to respond to “Implementing UNDRIP in Canada: Challenges with Bill C-262” by Thomas Isaac and Arend J.A. Hoekstra. The Joffe Commentary refutes the authors’ positions as generally inaccurate and misinformed. Minister of Justice Jody Wilson-Raybould announces his government’s support for Bill C-262 in a speech at an event co-hosted by Canadian Friends Service Committee and its partners at the Coalition for the Human Rights of Indigenous Peoples. CFSC and our partners have issued many joint statements related to the Declaration. Jennifer Preston and Paul Joffe gave a presentation UN Declaration on the Rights of Indigenous Peoples: Justice, Reconciliation, and Hope in 2015 as part of the lecture series North at Trent. In response to misinformation about the legal effect of the Declaration, international human rights lawyer Paul Joffe produced a brief analysis (updated 2015) on how the Declaration is much more than just “aspirational”. You can also find information on the significant differences between “veto” and “consent”, terms which the Government of Canada has used as if there is no difference between them. We were present together with several of our partners at the symposium Linking Arms Together in 2013. You can view the full panel discussion on the UN Declaration below. . The Assembly of First Nations, Grand Council of the Crees (Eeyou Istchee), Union of BC Indian Chiefs, Amnesty International Canada and CFSC partnered to present an interactive webinar on the UN Declaration. The webinar can be viewed in its entirety, including the accompanying powerpoint presentation. United Nations Declaration on the Rights of Indigenous Peoples: Provisions relevant to “Consent” (2013) is an analysis by human rights lawyer Paul Joffe of the legal provisions of the Declaration as they relate to free, prior and informed consent. 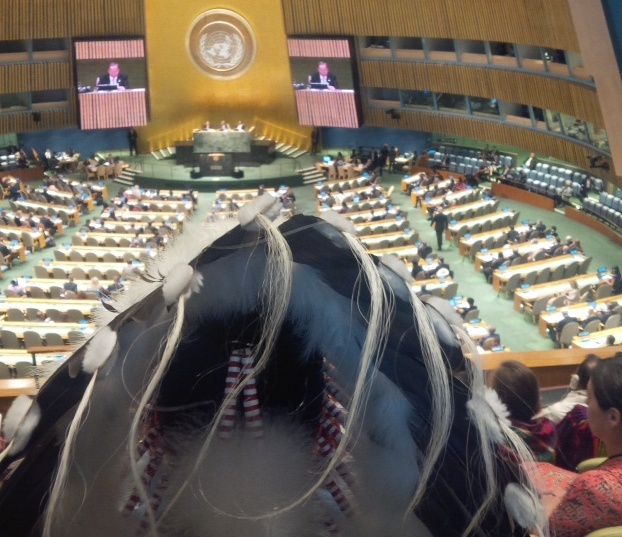 Statements of Support Worldwide for the UN Declaration on the Rights of Indigenous Peoples. Voices from the UN, International Agencies, States, NGO’s and Indigenous Peoples on the Declaration. An in-depth law article by Paul Joffe, UN Declaration on the Rights of Indigenous Peoples: Canadian Government Positions Incompatible with Genuine Reconciliation (2010) 26 N.J.C.L. 121. Reprinted by permission of Carswell, a division of Thomson Reuters Canada Limited. Amnesty International hosted 24-hour drum marathon on Victoria Island in support of the UN Declaration. Photo: Craig Benjamin. We have been working to realize the full implementation of the UN Declaration on the Rights of Indigenous Peoples for a long time. You will find joint statements from 2010 onward on our resources page. If you are interested in the earlier work done to encourage Canada to endorse and implement the Declaration, below are several examples. Open Letter Signed by Experts May 1, 2008 re: UN Declaration on the Rights of Indigenous Peoples – Canada Needs to Implement This New Human Rights Instrument. This statement was signed by more than 100 legal and academic experts across Canada. Its release was accompanied by a Press Statement from Indigenous and human rights organizations. Legal scholars and experts urge Canadian Government to abandon “erroneous” and “misleading” opposition to UN Declaration. 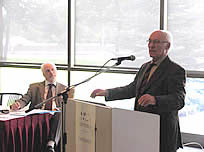 Former Special Rapporteur Rodolfo Stavenhagen and Alex Neve of Amnesty International Canada. Photo: Craig Benjamin. Statements By The Government Of Canada And Some Brief Responses. This critically examines the arguments presented by Canada on the UN Declaration. A legal response shows that, in fact, Canada cannot justify the objections to the UN Declaration. Canadians Should Embrace New Human Rights Instrument. 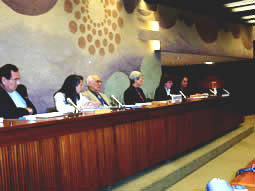 Global Implementation of the UN Declaration on the Rights of Indigenous Peoples – and Canada’s Increasing Isolation (2009). News Release about this report. Shame on Canada for opposing the UN Indigenous Peoples Declaration. An article in The Lawyers Weekly by Alex Neve, General Secretary of Amnesty International Canada. 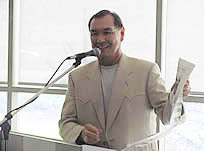 Chief Wilton Littlechild. Photo: Craig Benjamin. Closing the Implementation Gap, a report organized at the request of the former UN Special Rapporteur on the situation of human rights and fundamental freedoms of Indigenous people. The purpose was to review responses to him 2004 mission to Canada and report to the Commission on Human Rights. The report illustrates the will and capacity of Indigenous Peoples and civil society to be part of the process of identifying indicators and strategies for implementation of the recommendations of the special mechanisms and treaty bodies.